TUSCALOOSA, Ala. (AP) — Tua Tagovailoa passed for 265 yards and three touchdowns before leaving early in No. 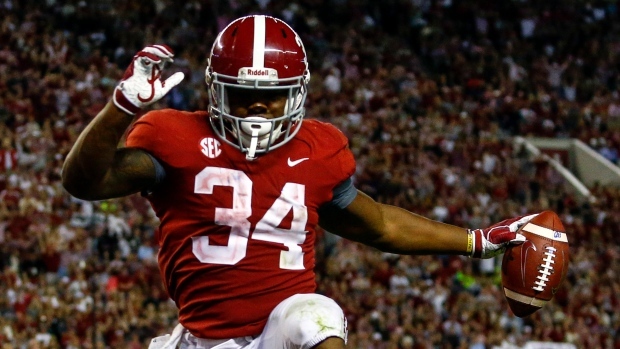 1 Alabama's 39-10 victory over Missouri on Saturday night. Tagovailoa went to the medical tent on the sideline after aggravating a sprained right knee. He was joined by his parents, and Jalen Hurts led the Tide the rest of the way with a big lead over the Tigers (3-3, 0-3). The nation's top scoring offense didn't let up too much, and Tagovailoa hasn't played in a fourth quarter yet this season anyway. Tagovailoa was playing with a brace on his right knee, sprained last week against Arkansas. Saban had said he didn't miss any practice time during the week. For a while, it was Alabama's tightest game.